Expressing your gratitude does not have to be a huge ordeal with fireworks; it can be as simple and as writing a letter to your caregiver and/or their home care agency supervisor. Praising someone in person can sometimes not be as fine-tuned as we’d like, so take advantage of a personalized note. Whether you send it in the mail or deliver it in person, a genuine, handwritten thank you will go a long way. A care package might sound like a lot of work, but it doesn’t have to be. There are a variety of care packages you can order online and all the work is done for you. You can go as big or be as simple as you’d like. Just choose carefully—you know your caregiver best. Find items they’d enjoy, whether it’s tasty treats, small gifts to pamper and help them relax, funny favors or a combination of these. Who doesn’t enjoy a nice treat on an ordinary day? The small act of buying or making your caregiver their favorite coffee says a lot. It shows that they were on your mind and that you care about them. It’s an expression of appreciation that will certainly brighten someone’s day. And we highly suggest to not just do this on special occasions—sometimes it’s even more special when it’s just a plain ole day. 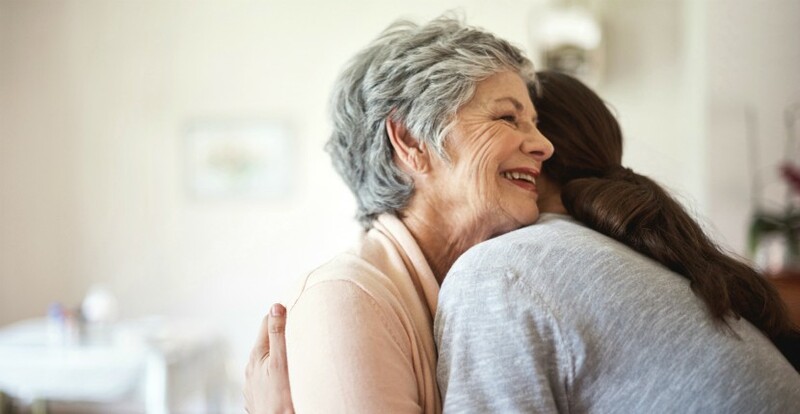 The stress a caregiver carriers is not always noticed, so any way you can lighten their burden and help with responsibilities will be valued more than any physical present. Though everyday chores may not always be hard, they are certainly a never-ending task that can take the focus away from what’s important. By relieving this stress, it can help both them and the one they’re caring for. For the ambitious, the crafty, the cookers and bakers, homemade gifts and treats are a fun way to say thanks. If your expertise is in the kitchen, then whip up something delicious and surprise your caregiver with something their taste buds will thank you for. Or if your skills are knitting—or even painting, photography, calligraphy, sculpture or anything else—use them to say thanks! Planning out grocery trips are not always the easiest task, especially when special nutritional needs must be taken into account. In addition to lifting this stress, by subscribing to a meal deliver service you are reducing the amount of trips to the grocery store as well as the prep time. And wouldn’t we all like that? Meal delivery services, such as Hello Fresh and Blue Apron, deliver meal kits complete with measured out ingredients and recipes, so no one has to worry about anything except following the instructions. The biggest way to show your thankfulness is simply by being there and checking in. A caretaker’s job is not an easy one and can often be stressful and frustrating. Just being someone they can talk to and vent about different situations shows more than words can sometimes say. But don’t just be a listening ear; take the opportunity to tell them why you are grateful for them and applaud their performance when they do well. If you are a family caregiver who is getting overwhelmed with everything, consider hiring a Highland Park home care agency to help. At Freedom Home Care, we offer a variety of services that span from outpatient to Alzheimer’s and personalized elder care. If you are searching for a “Home Care agency near me” contact us at 877-262-1223 or info@freedomhomecare.net.